In the telecommunications business, the regulatory pendulum swings all the time, though slowly. So periods of relatively less-active regulation are followed by periods of relatively more active rule-making, then again followed by periods of deregulation. It has been apparent for a couple of years that the regulatory pendulum in the the U.S. telecom arena was swinging towards more regulation. What now is unclear, though, is whether such new rules will largely revolve around consumer protection and copyright or might extend further into fundamental business practices. Current Federal Communications Commission inquiries into wireless handset subsidies and contract bundling, application of wireline Internet policies to service wireless providers, as well as the creation of new "network neutrality" rules are examples. But so will the settting of a national broadband policy likely result in more regulation. And there are some voices calling for regulating broadband access, which always has been viewed as a non-regulated data service, as a common carrier service. One example is a recent speech given by Lawrence Strickling, National Telecommunications and Information Administration assistant secretary, to the Media Institute. He said the United States faces "an increasingly urgent set of questions regarding the roles of the commercial sector, civil society, governments, and multi-stakeholder institutions in the very dynamic evolution of the Internet." Strickling notes that “leaving the Internet alone” has been the nation’s Internet policy since the Internet was first commercialized in the mid-1990s. The primary government imperative then was just to get out of the way to encourage its growth. "This was the right policy for the United States in the early stages of the Internet," Strickling said. "But that was then and this is now." Policy isues have ben growing since 2001, he argued, namely privacy, security and copyright infringement. For that reason, "I don’t think any of you in this room really believe that we should leave the Internet alone," he said. In a clear shift away from market-based operation, Strickling said the Internet has "no natural laws to guide it." And Strickling pointed to security, copyright, peering and packet discrimination. So government has to get involved, he said, for NTIA particilarly on issues relating to "trust" for users on the Internet. Those issues represent relatively minor new regulatory moves. But they are illustrative of the wider shift of government thinking. Of course, the question must be asked: how stable is the climate? Generally speaking, changes of political party at the presidential level have directly affected the climate for telecom policy frameworks. And while a year ago it might have seemed likely that telecom policy was clearly headed for a much more intrusive policy regime, all that now is unclear. A reasonable and informed person might have argued in November 2008 that "more regulation" was going to be a trend lasting a period of at least eight years, and probably longer, possibly decades. None of that is certain any longer. All of which means the trend towards more regulation, though on the current agenda, is itself an unstable development. One might wonder whether it is going to last much longer. That is not to say some issues, such as copyright protection or consumer protection from identity theft. for example, might not continue to get attention in any case. But the re-regulatory drift on much-larger questions, such as whether broadband is a data or common carrier service, or whether wireless and cable operators should be common carriers, might not continue along the same path. You can make your own decision about whether those are good or bad things. The point is that presidential elections matter, and the outcome of the 2012 election no longer is certain. "Death spiral" is not a word any company executive ever hopes to see or hear in the same sentence as the firm name. But that's what Barron writer Eric Savitz now does. "I fear Palm has begun sliding into a death spiral," he says. "Palm is simply too small, too poor and too weak to compete in a market where some of the world's most powerful companies are vying for supremacy." Though its competitors will not lament the potential loss of one contestant in the market, the webOS software Palm developed also is described by Savitz as "brilliant." Walt Mossberg at The Wall Street Journal in a review last summer called the Pre "potentially the strongest rival to the iPhone to date." "There's just one problem: No one is buying the phones," he says. Palm now says revenue for its fiscal year, ending in May, will be well below its previous forecast of $1.6 billion to $1.8 billion. The problem, Palm said, is "slower than expected consumer adoption of the company's products." In other words, the Pixi and the Pre aren't selling. Whether Palm somehow can pull off a turn-around is not clear, nor is it clear whether the company will wind up being sold to another firm. But webOS is yet another illustration of the fact that in the technology business, the "best" product does not always win. IP-based communications often has not developed as its supporters have forecast. Suppliers thought it was an "enterprise" product, but VoIP erupted in the consumer space. That actually has been the rule, of late, not the exception. Email, the Internet, instant messaging, text messaging, search, social networking, broadband and mobility all gained traction in the consumer space and then were forced upon enterprises. Has unified communications now been superseded by social media and mobile devices? For many enterprise executives, that is a rhetorical question, though it might not be so rhetorical for smaller organizations or individuals. Contact centers remain the province of enterprise-class unified communications solutions and nearly all office environments, as well as for traveling workers who need access to home office communications features. Global businesses likewise benefit from enterprise-grade unified communications more than small, local businesses and organizations. Since supplier organizations tend to mirror the organizations they sell to, that means many large suppliers of unified communications believe in its value because they themselves are large, far-flung organizations in best position to leverage UC and other collaboration tools. What is not so self evidently clear is that the same level of benefit is obtained by smaller, more localized user organizations and firms. "These customers aren’t worried about presence and a unified portal," says David Burnand, a former Siemens enterprise communications executive. In fact, "many of them run their business using mobile handsets, simple PBXs, social media, Skype and Google Voice." Many use elements of unified communications, including single number services, video-calling and instant messaging. They just don’t call it unified communications, or use those tools because they are "unified." They use point solutions because they solve real problems. The point, says Burnand, is that "old school" definitions of unified communications do not hold. UC is no longer about managing a desk phone, mobile, Windows PC and many other devices. The smart phone has made that view redundant for all except the power users, he argues. Instead, it is evolving into skinny applications for low-end users and specialist applications for power users, mixed with a dose of social media, a splash of video and a few Web-based collaboration tools. That will be an unsettling view for many unified communications or collaboration suppliers, as it suggests the "UC market" is far smaller than many would have predicted for hoped for. By the end of 2009, there were an estimated 4.6 billion mobile cellular subscriptions, corresponding to 67 per 100 inhabitants globally, says a new report from the International Telecommunications Union. Last year, mobile cellular penetration in developing countries passed the 50 per cent mark reaching an estimated 57 per 100 inhabitants at the end of 2009. Even though this remains well below the average in developed countries, where penetration exceeds 100 per cent, the rate of progress remains remarkable. Indeed, mobile cellular penetration in developing countries has more than doubled since 2005, when it stood at only 23 per cent. Not many will recognize this success for the great achievement it really is. Policymakers of the 1960s, 1970s and 1980s would be, and probably are, shocked at what has happened. In days past, the thinking was that getting phone service to people who had never made a phone call would be stubbornly difficult. I do not recall anybody suggesting mobile technology would do the trick. The broadband gap, though significant, also is showing dramatic progress, and again because of mobile networks. There is a "problem" people and organizations who "solve problems" often have: they cannot recognize victory. Many difficult problems actually get fixed. When they do get fixed, rejoice and move on. 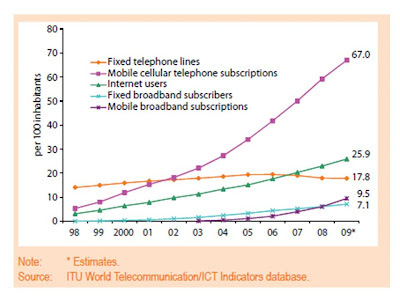 Getting voice services and now broadband broadly adopted throughout the world is a huge, miraculous success. Enterprise Workers Ready to Ditch Their PCs for Smartphones? Something rather unusual seems to be happening in the enterprise mobility space. According to a recent survey taken by iPass, 63 percent of mobile employees prefer to use a smartphone, not a laptop, as their primary mobile device, for trips of any length. For trips of up to five days, 59 percent of respondents prefer to carry a smartphone, while 41 percent prefer a laptop. 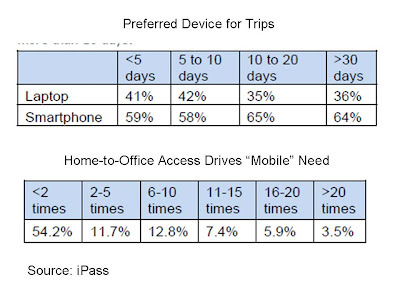 For trips lasting longer than 30 days, 64 percent prefer a smartphone to a laptop. That likely is testament to the high value traveling workers place on voice and text communications, as well as the increased capabilities smartphones now offer, including email and Web access. But the findings also suggest that some enterprises are over-investing in laptops and software and might need to look at scenarios where mobile or traveling workers can get along just fine with smartphones. There is another and possibly darker view here as well. Industry suppliers have been touting mobility investments as a driver of productivity. As it now appears, enterprise workers do not even want to carry laptops with them when traveling. So what is the value of all those investments in remote access? Granted, most enterprises likely are trying to get a better handle on mobile phone expenses, so indiscriminate replacment might not be wise. But the survey also suggests the near-universal embrace of the BlackBerry has "soft" support from users. According to the iPass survey, while 32 percent of mobile employees ranked the BlackBerry smartphone as their mobile device of choice, 54 percent of BlackBerry smartphone users would switch to an Apple iPhone if it was supported by their enterprise. is a potential mobile employee, iPass says. While many mobile employees have some business travel, many more are logging in from home. About 68 percent of iPass survey respondents did not travel during the last quarter of 2009, but 45.8 percent of mobile employees logged in from home at least twice a month, and 16.8 percent logged in more than ten times a month. Excluding home and the office, mobile employees most often log in from hotels (42.6 percent), airports (27.2 percent), retail outlets and restaurants (27 percent). Telco Choice is Not "Dumb Pipe" or "Service Enabler" or "Service Provider"
There's no question that the fundamental business underpinning of the entire global telecommunications business is undergoing a fundamental change from "voice driven" to "broadband driven," and, to a certain extent, from "services" to "access." That leads to a fear that the future is one of "dumb pipe" access services providing modest revenue and slimmer profit margins than any existing provider can tolerate, without significant downsizing of operational cost. Many observers suggest service providers will gradually take on more "application enabler" roles, supporting third-party business partners. At the same time, there is debate about the degree to which any existing video or voice service provider will be able to continue doing so in the future. But those three choices are not mutually exclusive. For better or worse, "dumb pipe" access is a permanent foundation for every telco, mobile, cable, satellite or fixed wireless provider. That is precisely what "broadband access" is; a simple "access" service. That does not mean "only" access will be provided. There likely will be some permanent role for managed video, voice, storage, backup and other services. At some combination of value and price, users simply will prefer to buy such "services" rather than use comparable applications. At the same time, it is likely service providers will find ways to grow the percentage of their revenue earned by supplying services to business partners. That might include billing services, location and device information, hosted processing or storage services. "Dumb pipe" access is not the only business of the future, but it is foundational, and permanent. In addition to that, though, today's service providers necessarily will have to grow the proportion of revenue they make from "enabling" services, as they manage a likely decline of "services" such as basic voice communications or multi-channel video. And it is not necessarily that those services decline because of a shift in user demand. The simple existence of capable competitors means market shifts will occur, irrespective of any conceivable shifts of demand. In other words, one does not have to make a definitive bet on "over the top" voice or video to plan on lower revenue from existing voice or video sources. One simply must assume that capable competitors will take some amount of market share. In other words, at the level of discrete enterprises, cable executives have to anticipate declining video customer base and revenue contribution, while telcos have to assume declining gross voice revenue. No shift of demand to online video or VoIP need be assumed. To be sure, those forces likely will be factors. But it is not the case that a stark choice must be made between the "dumb pipe" access provider and the "service enablement" or "service provider" roles. All three will remain parts of the overall revenue stream. Apple Inc. CEO Steve Jobs says Apple is holding onto $25 billion in cash to take “big, bold” risks. That should be an immediate concern for any company that competes with Apple or thinks it might have to compete with Apple. Whatever else might be said, Apple already has reinvented itself. Apple used to be thought of as a "computer manufacturer." These days, sales of Macintosh computers probably represent about 18 percent of the company's equity value. The iPod, which not so long ago was the rising company star, now represents about three percent of the company's value. Even the new iPad, which has just launched, represents four percent of the company's value. These days, Apple has suddenly, dramatically, become a "mobile handset" company. Sales of the iPhone now represent about 52 percent of the company's equity value. The iTunes and iPhone App Store represent about 5.6 percent of company equity value. So what about Apple's purchase of Quattro, a company providing mobile advertising for Apple, Android and other smartphone devices? Apple probably is less interested in profiting from ads than in making the iPhone the most attractive device for developers to build applications. And money might have a lot to do with that. Right now, eighty to ninely percent of app store downloads are of "free" apps. That isn't such a great business model for a software developer. Eighty percent of the three billion downloads from Apple’s App Store are free, for example. By offering a way to sell ads, Apple can help entice developers who will have another way to make money, other than selling software. Apple executives said recently during their quarterly earnings call that the firm had no idea whether mobile advertising would develop as an actual revenue stream for Apple or whether it would simply help reinforce its App Store operations. "I honestly don’t know," says Peter Oppenheimer Apple CFO. "We will have to see." App stores have been a huge boost to smartphone perceived value. What they haven't yet proven is that they are an effective way for software developers to sell applications. 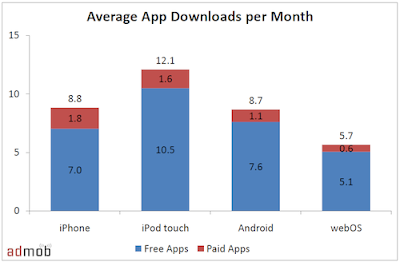 About 80 percent to 90 percent of app downloads are of the "free" rather than "paid" variety, according to AdMob. SK Telecom says it has no plans to allow its smartphone subscribers access to VoIP calling, saying it will deal a blow to its revenue, reports the Korea Herald. That's true, but also likely unsustainable. All it would take is for Korea Telecom to allow it and SK Telecom would have to relent. Oddly enough, it appears low prices are a problem. An SK Telecom executive says that AT&T and Verizon can afford to allow VoIP because both those carries make enough money with their broadband and voice tariffs to allow cannibalization of legacy voice revenues by VoIP. Oddly enough, this is a case where higher prices would lead to more innovation. U.S. carriers are moving about as fast as they can to create broadband-driven revenue streams so voice can be cannibalized. Mobile VoIP is a sensitive issue for SK Telecom precisely because its tariffs are low. "Mobile VoIP will destroy our profit-making structure," Lee Soon-kun, senior vice president of SK Telecom, says. At the same time, Korean mobile providers face mounting pressure to lower tariffs on legacy calling. Under the "per-second" scheme, which will take effect on March 1, 2010the carrier will charge for every second, instead of every 10 seconds. Under the current system, consumers have to pay for a full 10-seconds of calls, even if they have not been connected for all of that time. The revamp is expected to lead to a tariff cut of 700 won and 800 won per subscriber on average, SK Telecom said, adding that all of its 25 million subscribers would be able to save a combined 201 billion won ($1.8 million) a year. SK's move put its rivals KT and LG Telecom under growing pressure to follow suit. Broadband prices that are too low--basically unable to support the entire cost of running a mobile network--would seem to be a problem for widespread mobile VoIP in the Korean market. The U.S. telecommunications and network-based video entertainment markets (cable, satellite, telco) grew revenue in 2009, largely on the strength of performance by the large incumbents that account for most of the industry's revenue. That was not the case in all markets, though, as the Columbian market, for example, declined about eight percent in 2009, according to researchers at Pyramid Research. 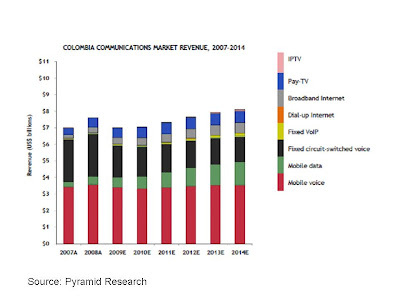 The Columbian market also is in major deregulation shift, so new competitors are expected, especially in the wireless area. Pyramid Research does not think any such new competitors will be able to alter the current market structure, though. Incumbency has its advantages, it seems. What percentage of U.S. business locations would you suggest now have optical fiber connections available to them? According to Vertical Systems Group, just 23 percent of U.S. sites and 15 percent of sites in Europe have optical access. While most large enterprise locations in the United States and Europe are fiber-connected, small and medium business sites generally are underserved with fiber from any service provider. "The good news is that overall accessibility to business fiber has more than doubled within the past five years," says Rosemary Cochran, Vertical Systems Group principal. The challenge ahead is to extend fiber connectivity to remote business locations. 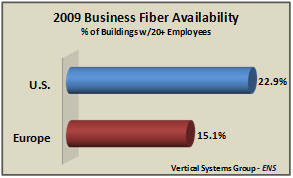 Of course, not all smaller business locations need the fiber that typically supports gigabit-per-second bandwidth. Given that 1.544 Mbps connections are the mainstay for most smaller and even many mid-sized businesses, many customers might be quite satisfied with speeds in the tens of megabits per second. One might infer from average pricing for a variety of services ranging from fixed telephone service to broadband access, wireless and multi-channel video service that consumers have price sensitivity for any single service above $50 a month. According to researchers at Pew Research and the Federal Communications Commission, fixed voice costs about $48 a month. Wireless costs about $50 per user, while multi-channel video costs about $60 a month and broadband access costs about $40 a month. Some of you immediately will note that your own spending is higher than these average figures suggest, with the greatest variability occurring in the mobile arena, as that is a service bought a person at a time, where the other services are bought household by household. That's worth keeping in mind when surverys suggest there is robust consumer demand for just about any new application or service. Very few products ever have gotten mass adoption at prices above $300. Very few subscription products ever have gotten mass adoption at prices above $50 a month. That doesn't mean it cannot be done; obviously it can. It simply is to point out that getting lots of consumers to buy a new recurring service at prices ranging from $5 to $10 a month is a big deal. That's the reason so much consumer-focused content is advertising supported. Nearly 37 percent of broadband households in North America are "extremely" or "very" interested in viewing over-the-top video content on the home TV, according to In-Stat. Streaming should be easier in the future as more TVs, Blu-ray Players, digital media players and set top boxes support Internet connections. By 2013, In-Stat predicts that nearly 40 percent of all digital TV shipments will be Web-enabled devices. Across all categories, there will be over half a billion Web-enabled consumer electronics devices in operation worldwide by 2013. Shipments of such Web-enabled devices will see a compound annual grow rate of nearly 64 percent between 2008 and 2013, In-Stat predicts. It always is hard to tell how well consumer input of this sort will translate into actual behavior, especially when spending on one category of purchases has to be shifted from some other existing category of expenses. Doubtless the stated intentions are closer to reality when there is no incremental cost to view such content, and drops fairly predictably as the price of doing so raises above "zero." Twitter now has reached 50 million tweets a day, excluding all spam, says Twitter analytics staffer Kevin Weil. 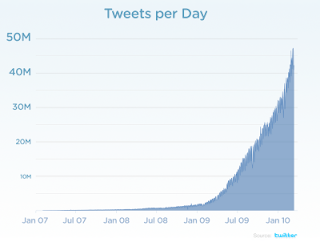 Folks were tweeting 5,000 times a day in 2007. By 2008, that number was 300,000, and by 2009 it had grown to 2.5 million per day, he says. Tweets grew 1,400 percent last year to 35 million per day. "Today, we are seeing 50 million tweets per day—that's an average of 600 tweets per second," says Weil. Tweet deliveries are a much higher number because once created, tweets must be delivered to multiple followers. Then there's search and so many other ways to measure and understand growth across this information network. Tweets per day is just one number to think about, he says. Still, as with Skype's "concurrent users" metrics, it is a milestone. What do you do when you are one of the top retailers of DVDs in the United States, and the product starts to face serious substitution from a newer product? You start selling the newer product. Or so Wal-Mart thinks. The retail giant, according to the New York Times, has agreed to buy Vudu, a three-year-old online movie service built into an increasing number of high-definition televisions and Blu-ray players. Wal-Mart’s move is likely to give a lift to sales of Internet-ready televisions and disc players, which generally cost a few hundred dollars more than devices without such connections. Nor is the move the first attempt by Wal-Mart to figure out a way to make a transition from sales of packaged media to online forms of video consumption. Wal-Mart dabbled in aq Netflix-style online DVD rental several years ago, but sold the operation to Netflix after getting 100,000 to 250,000 subscribers. Wal-Mart also attempted to get into video rentals with HP in 2007, but it gave up on that project after a year. 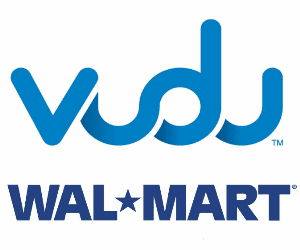 The Vudu acquistion would instantly make Wal-Mart a significant force in the video streaming business, and would make the company a direct competitor to Netflix once again. Vudu initially entered the market with a set-top box that offered access to its video streaming service, but gave up on building its own hardware, and started offering its service as a software offering that could be integrated into other consumer electronic devices. That might make more sense, as Wal-Mart also now is one of the leading retailers of consumer electronics. Of course, Wal-Mart also has to position its electronics sales against Best Buy, a major competitor that likewise is working with CinemaNow to enable streaming video services on its own consumer devices. It is highly likely that enterprises will drive most of the $9.5 billion in cloud-based mobile applications that Juniper Research believes will be bought by 2014, but consumer revenues are likely to overtake enterprise-generated revenues after five years. Juniper Research predicts that enterprise applications will account for the majority of revenues over the next five years, with businesses increasingly seeking to capitalize on platform services that will be used to provide scalable, flexible data storage solutions and device agnostic, synchronised office services. But consumer-oriented apps will comprise an ever-larger proportion of total revenues over time, derived both from time-based subscriptions to services such as mobile online gaming and advertising from cloud-based social networks. While the onset of a cloud-based ecosystem may further erode the strength of the mobile operator-to-customer relationship, cloud computing offers operators the opportunity to develop new revenues streams as well. I learned long ago that when somebody says something "can't be done," it is best to understand that claim as "I can't do it." I think we also have learned that even when somebody says something can be done, they might mean "it can be done so long as not that many people want to do it." And that might be the case as cable operators prep broadband access services capable of running at speeds as high as 250 Mbps, at least so long as most people do not desire to buy services running at such speeds. Broadband Reports says cable operators will start talking about a 250 Mbps service sopmetime later this year, though nobody will be able to buy it. Comcast also says it will be offering 100-Mbps service to about 25 percent of its potential customers by the end of 2010. Comcast should be congratulated for that move, though it is not clear what might happen if lots of people actually bought it. The rub is that providing 250 Mbps requires bonding of about eight standard 6-MHz channels. The issue there is the same problem satellite operators have when providing downstream bandwidth. There are finite numbers of channels available, so cannibalizing bandwidth for data services reduces the amount of bandwidth available for video services. The point is that some providers--particularly cable operators--will be able to claim speeds of at least 100 Mbps, at least in terms of what is commercially feasible at low penetration. it isn't clear any network can support 100 Mbps at high penetration, at least not at prices in two, rather than three digits. Still, it is a reminder that when somebody says something "can't be done," one has to consider the source. Just because one company can't do it does not mean all companies cannot do it. The other relevant observation is that "hero" devices and services are feasible. What is not clear is whether "mass market" availability is possible. Executives highly familiar with mobile broadband network operations know that radio networks can, and do, become congested for reasons having to do with signaling, rather than bandwidth consumption. Executives at Spirent and Alcatel-Lucent Bell Labs, for example, have pointed out that mobile phone design can itself cause problems. As it turns out, that is true of the iPhone as well, which tries to save power by disconnecting from the network whenever possible. Now engineers at U.K. mobile provider O2 point out that the iPhone uses more power-saving features than previous smartphone designs. That's good for users, but bad for radio networks. Most devices that use data do so in short bursts—a couple e-mails here, a tweet there, downloading a voicemail message, etc. Normally, devices that access the data network use an idling state that maintains the open data channel between the device and the network. However, to squeeze even more battery life from the iPhone, Apple configured the radio to simply drop the data connection as soon as any requested data is received. When the iPhone needs more data, it has to set up a new data connection, O2 engineers say. The result is more efficient use of the battery, but it can cause problems with the signaling channels used to set up connections between a device and a cell node. Simply put, the signaling overhead congests the network, not the bearer channels. It is signaling load, not bandwidth consumption, that causes much congestion. It's important to note, however, that this technique is not limited to the iPhone. Android and webOS devices also use a similar technique to increase battery life. While the iPhone was the first and currently most prolific device of this type, such smartphones are quickly becoming common, and represent the majority of growth in mobile phone sales in the past year. Networks designed to handle signaling traffic dynamically, shifting more spectrum to signaling channels when needed, can mitigate this problem. But even with more signaling capacity, network nodes may not be able to set up a data session, or may have problems getting a valid network address from an overloaded DHCP server. In fact, the fact that Europe embraced heavy text messaging and data use far earlier than users in the United States meant that the signaling networks were configured early on for heavy signaling traffic. Neustar recently launched a "Mobile Barcode Clearinghouse Services" operation intended to ensure that any mobile barcode can be read by any mobile phone or application. That might not seem like a big deal, but history suggests that penetration and use of any technology, no matter how useful, never gets routine and widespread use so long as the information cannot be communicated effortlessly across the entire base of people, applications and devices. That was true for railroads. It was true for phone service. It was true of text messaging and email, and it won't be different for 2D barcodes. "The clearinghouse is an important component of Neustar’s mobile internet solutions strategy, which bridges network operators and enterprises and simplifies their delivery of value to customers," Neustar says. Neustar is right about that. 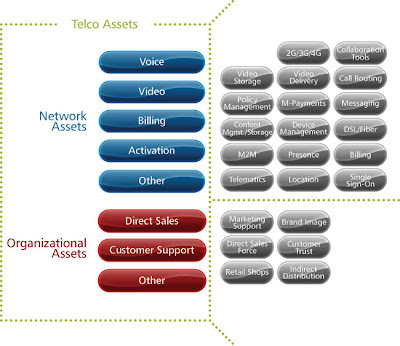 Are Broadband, Voice, TV and Mobile Services Really Commodities? Both industry executives and consumers might sometimes be accused of viewing mobile, voice, broadband and multi-channel TV services as "commodities." Whether that is true, and to what extent, is, and ought to be, a matter of debate, not certitude. Consider Verizon and DirecTV, for example. You might say that both provide services that other key competitors also provide, and that the features and prices are, at some level, comparable and even similar. But their offerings are not identical with the offerings of their key competitors, and that appears to be by design, not accident. DirecTV is the biggest satellite pay-TV provider in the United States and competes with other satellite and cable providers. But that doesn't mean it competes for an identical set of customers, even though there is much overlap. The company is not exceptionally distinct in aiming to grow revenues in the future by focusing on average revenue per user growth more than growth in the number of subscribers. Indeed, virtually every provider expects to do that. Nor is DirecTV distinct in that regard. In a competitive, multi-product market, virtually every provider seeks to get more revenue by selling more things to existing customers, not simply adding new customers. But DirecTV and Verizon seem to be focusing on higher-spending customers, compared to the other competitors in each of their markets. DirecTV focuses on "higher-quality" subscribers who tend to pay extra for its advanced services like high-definition and digital video recorder service. In the fourth quarter of 2009, about 70 percent of new DirecTV subscribers signed up for HD and DVR services, for example. Overall HD-DVR penetration amongst DirecTV’s subscriber base amounting to about 60 percent. Some observers expect DirecTV’s HD-DVR penetration to increase to 80 percent by about 2016. DirecTV plans to offer new services include mulit-room viewing and new broadband applications as well. DirecTV Cinema is a movie service that will allow subscribers to watch certain films through DirecTV as soon as they are released on DVDs. Verizon likewise tends to focus on higher-spending customers as well. The point is that even as broadband, mobile, voice and multi-channel TV services are highly competitive, they are not, in the strict sense, "commodities." It might not matter whether a sugar product was made from beets or sugar cane. It can, and often does matter, that a firm's customer service, features, devices, packaging or pricing are distinct. Fretting over whether people will pay for content is based on a mistaken assumption: that people have ever paid for content in the past, says Forrester Research VP. "They actually haven't," he says. Instead, people have paid for access to content. You have to think about this some. People buy newspapers, so isn't that a content purchase? Well, he argues, not really. The cost of the newspaper purchase never covers the full cost of the content, which is mostly paid for by advertising. One had to think about a "newspaper" as a distribution channel and a content aggregator, not an actual "content product" in that sense. So what about cable TV? McQuivey argues even monthly video subscriptions are about "access" to content, not direct content purchasing. "Pay per view," where a show or movie is bought a la carte, on the other hand, is a content purchase. Subscriptions to linear channels are a form of access, he argues. If one looks at matters that way, "access" constitutes 77 percent of what the average household spends for "content" each month is spent on content access, not content itself. Some will argue with the notion that a cable, telco video or satellite video connection is "access" rather than content. On the other hand, having linear video streaming in the background, even when one is not watching, is somewhat akin to voice "dial tone" or broadband Internet access. It's there, one can use it when one wants, but it is not a discrete "content"purchase. I'm not sure I'd go so far as to classify cable TV as "access" rather than content. People pay for their voice services using a flat-fee subscription, as they pay for linear video. Some of us might not think a different payment method, or retail pricing plan, changes the nature of the product. But it is an interesting way of looking at the relative value of various revenue streams. Back in the early days of the tramnsition from dial-up to broadband, I gave a speech to a group of ISPs very concerned about the difficulty of the business model. At that time, most of the actual revenue was earned by providing access. There was some amount of value-added service and products. For better or worse, I said then, "access" was where most of the money was, despite the difficulty of the business case. The business ecosystem was simpler then. Google had not grown to its current state, for example. Looked at broadly, it may no longer be true that most of the money is in access. The U.S. workforce is the most mobile in the world, according to researchers at IDC. As early as 2008, about 72 percent of U.S. workers worked at least part of the time on a mobile basis. The percentage of mobile workers will grow to about 76 percent by 2013, IDC projects, representing about 120 million workers. The world's mobile worker population will pass the one billion mark in 2010, IDC says, and grow to nearly 1.2 billion people, more than a third of the world's workforce, by 2013. The most significant gains will be in the emerging economies of Asia and the Pacific region. The Asia and Pacific region, excluding Japan, represents the largest total number of mobile workers throughout the forecast, with 546.4 million mobile workers in 2008 growing to 734.5 million or 37.4 percent of the total workforce in 2013. At the end of the forecast, 62 percent of the world's mobile workforce will be based in the APeJ region. Western Europe's mobile workforce will reach 129.5 million mobile workers, about 50 percent of the workforce, in 2013, surpassing the total number of mobile workers in the United States. Japan's mobile worker population will total 49.3 million in 2013, representing 75 percent of its total workforce. The rest of the world will see its mobile worker population grow to 153.2 million by 2013. But mobile workers will represent 13.5 percent of all workers in those markets. The key language there is "unreasonable" discrimination. NARUC is not calling for network neutrality rules that ban "all" packet discrimination. The problem is that some traffic types are "latency sensitive" and can suffer at times unless packet discrimination mechanisms are used. Applications such as video, gaming and VoIP would suffer, at times of peak congestion, without priority mechanisms that users themselves may wish to have in place. NARUC therefore has asked that policymakers and regulators keep in mind that "unreasonable restrictions or unreasonable discrimination" be areas of protection, not "all" forms of packet discrimination. 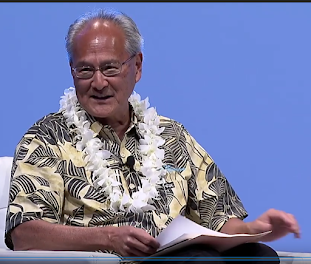 NARUC also asks for rules and regulations that will give providers incentive for continual innovation and a fair return on their investment, without jeopardizing consumer access to, and use of, affordable and reliable broadband services. Discrimination that is solely, or primarily intended, to protect business advantages, is an area of valid concern for policymarkers. But the Internet has changed. It is a network increasingly used to support isochronous applications (real-time applications) that are highly susceptible to degradation from latency, for example. NARUC's position will seem to many a well-reasoned and balanced approach. What Kinds of Online Content Will Consumers Pay For? Consumer willingness to pay for online content seems to be shaped by their current experience with existing media. Online content for which consumers are most likely to pay—or have already paid—are those they normally pay for offline, including theatrical movies, music, games and select videos such as current television shows, a new survey by Nielsen suggests. Content users might pay for tends to be professionally produced, at comparatively high costs, and definitely not user-generated content, including social community content, podcasts, consumer-generated videos and blogs. Respondents had mixed willingness to pay for newspaper, magazine, Internet-only news and radio news and talk shows that are created by professionals, relatively expensive to produce and commonly sold offline. After surveying 27,000 consumers in 52 countries, Nielsen also found 85 percent prefer that existing free content remains free. Whatever their preferences, consumers worldwide generally agree that online content will have to meet certain criteria before they shell out money to access it. If respondents already pay for a product in physical form, 78 percent believe they should be able to use online versions of the same content at no additional charge. At the same time, 71 percent of global consumers say online content of any kind will have to be considerably better than what is currently available free before they will pay for it. About 79 percent say they would no longer use a Web site that charges them, presuming they can find the same information at no cost. Only 43 percent of respondents say an easy payment method would make them more likely to buy content online. About 47 percent of respondents say they are willing to accept more advertising to subsidize free content. Some 64 percent say that if they must pay for content online, there should be no ads. "The experts’ record is so lousy at spotting key technologies ahead of time that there is little chance they will see the killer gadgets and applications of 2020," Pew says. "If you had asked this question a decade ago, no one would have predicted the iPhone." 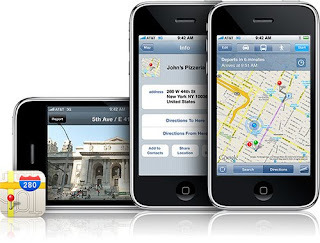 But some trends are clear, because they already have begun: Mobile connectivity and location-based services will grow in the next decade. Still, it takes a generation to figure out which technologies have real impact and which are just fads, so many other application and device trends we now see might, or might not, be actual "killer apps." and businesses have all kinds of reasons to control what happens online, Pew reports. There will be alternative networks for companies and individuals that prefer to have a more controlled environment for sharing and consuming content, many believe. The future will produce a hybrid environment with a bit more control exercised in the core of the internet for some purposes, but for other purposes will enable end-to-end practices, researchers at Pew conclude, based on the responses. "Some things will have to be managed, especially if the capacity of the current internet becomes strained," Pew analysts say. "The dictates of business will shape large parts of the online experience and more pay-to-play business models will affect information flows online," Pew says. "The needs of users themselves will sometimes drive changes that bring more control of online material and less end-to-end activity," Pew notes. There will be “content service providers” who are gatekeepers of many users’ online experiences. The point, one might argue, is that although the "open, end-to-end" Internet will continue to exist, so will many relatively closed experiences, sites, networks, applications and devices. 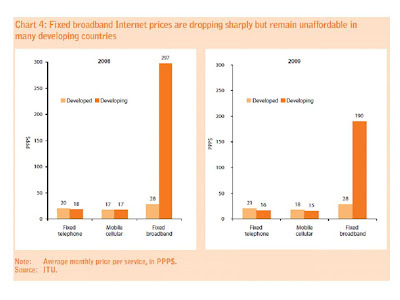 Mobile broadband is cheaper than fixed-line access in Austria, and also the single largest method of access. In some ways, that is good for iTelekom Austria, if success is defined as dominant market share. On the other hand, it entails capacity issues, since PC users consume far more bandwidth than smartphone users. So it is not surprising that Telekom Austria CEO Hannes Ametsreiter says the company is looking hard at ways to better use Wi-Fi connections to offload much of that traffic. 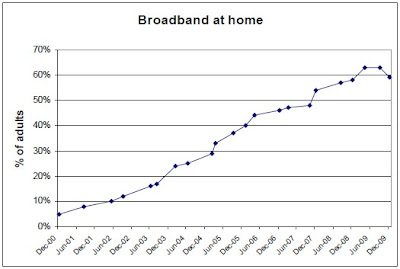 Is This Evidence of Declining Use of At-Home Broadband? If one looks at the quarterly or annual data on broadband subscriptions during the course of the recent recession, one is hard pressed to find any significant evidence that broadband users downgraded their connections to dial-up or stopped using the Internet. This data from the Pew Internet & American Life Project, on the other hand, shows leveling in 2009, about a year into the recession, and an actual decline late in 2009. Some might note that a three-percentage point swing in reported behavior on this sort of survey would be within the margin of error, so it is hard to infer anything conclusively. But even a flattening would be significant, should the trend be later confirmed. Broadband access at home has not yet ever declined. Virtually all the public firms have reported continual net customer additions, so any slowdowns or reversals might have occurred at private or smaller providers. We'll have to watch this. "Unified communications is not a new market," argues Melanie Turek, Frost and Sullivan analyst. Mostly, it is a repackaging of many existing businesses, ranging from business phone systems to collaboration software suites. That doesn't mean there are not some new products, industry segments and providers. But most of the revenue is driven by legacy products, she suggests. "It's a way for vendors in existing markets to continue making money," says Turek. "The biggest impetus for the players in this space to keep playing isn't to deliver new business revenue; it's to stop existing, or past, revenues from disappearing—not to another vendor (although that's always a risk), but from the market altogether." In many cases, the goal is simply to give customers a reason to upgrade. "Unless those vendors can deliver a compelling reason for companies to move to the next version of their communications and collaboration software, companies aren't going to," says Turek. And the telephony vendors have it even worse: Hard phones and network gear should be built to last: sometimes decades or more, says Turek. " And except in certain specific use cases, like the contact center, businesses don’t need or want to add more features to their employees' handsets." That doesn't mean there isn't a market for UC, she says. There are new applications. But those new products might simply serve to keep those vendors in business. The question for vendors, then, is how to grab a bigger piece of the already-existing pie, says Turek. And that is what makes quantifying the size of the UC market so difficult. A new survey by PriceGrabber.com suggests netbooks have set new expected price points for computer purchases, an outcome many suppliers likely feared would be the case. The percentage of online consumers who personally own a netbook has increased from 10 percent last year to 15 percent early in 2010. 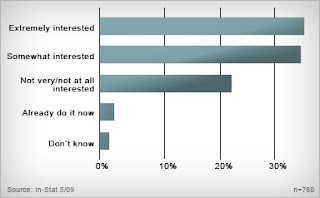 Moreover, 11 percent of consumers plan to purchase a netbook in 2010. The disparity between the dollar amount consumers are willing to pay for their next device compared to the amount they paid for their last device is evident. About 65 percent of consumers say the maximum amount they plan to spend on their next computing device is $750, even though 52 percent of online consumers spent more than $750 on their last device. The average price of products in the PriceGrabber.com laptop category dropped to $645 in December 2009, from $808 in December 2008. This suggests a 20 percent decrease in average price. Netbooks are more of a complement than a replacement for laptops, though. Some 55 percent of consumers do not see a netbook as a feasible replacement for a laptop. Additionally, 63 percent indicate that a netbook is best described as an additional device while on the go, not a substitute for a notebook or desktop PC. The largest age group of netbook owners has shifted from 35 to 54 years to 45 to 64 years over the past year, the survey suggests. In January 2009, 53 percent of netbook owners were between the ages of 35 and 54 as compared to only 31 percent one year later. In January 2010, 55 percent of netbook owners fall within 45 to 64 years of age as compared to 43 percent last year. Of those consumers who indicate personally owning a netbook, 86 percent also own a laptop and 73 percent also own a desktop. More netbook owners indicated also owning laptops and desktops last year. The survey suggests there is an opportunity for netbooks to cannibalize other products, though. In fact, 72 percent of consumers see a laptop as a feasible replacement for a desktop, 45 percent of consumers see a netbook as a feasible replacement for a laptop, and 27 percent of consumers see a netbook as a feasible replacement for a smartphone. Smartphone launches from Samsung, Sony Ericsson, ZTE, Motorola Acer and several others will dramatically increase competition in the smartphone space, says John Levett, Juniper Research analyst. In the apps market, the launch by 24 mobile operators of a "Wholesale Applications Community" should allow for mobile internet and applications to be downloaded without the potential headache of conflicting technologies, he says. With LTE now boasting several live roll-outs and as many as 75 build-out commitments, some 40 mobile industry organizations have now backed industry association GSMA’s initiative to standardise the delivery of voice and messaging services for LTE. A SIM-based mobile payments trial by the GSMA, Samsung, Telefonica, and several partners could herald a new era in the development of mobile payments using near field communications technology. MWC 2010 also has seen a proliferation of mobile handsets using Google’s Android platform with announcements from Alcatel, Dell, HTC, LG, Motorola, Samsung, Sony Ericsson and ZTE. that means a higher-profile for open source operating systems overall. If Federal Communications Commission Chairman Julius Genachowski gets his way, the FCC will set a goal of 100-Mbps service delivered to 100 milliion American homes by 2020. Genachowski says his preferred approach to a national broadband policy would require ISPs to offer minimum home connection speeds by 2020. The “100 Squared” initiative might in fact be too modest a goal, he suggests. "We should stretch beyond 100 megabits," he adds. The proposal is part of the FCC's national broadband plan, due for initial public comment in March 2010. The goal is sure to come under some scrutiny by service providers, in part because there is not currently any way to provide bandwidth of that magnitude on a national basis while pricing service at rates most consumers would pay. There is not enough usable wireless spectrum to provide that kind of coverage and usage, and fixed access networks are not completely or primarily subject to Moore's Law. While chipsets and processors do get faster, the cost of digging trenches does not get less expensive over time. In fact, construction cost is the dominant cost element for any optical network providing service directly to end users. "One hundred meg is just a dream," says Qwest Communications International Inc Chief Executive Edward Mueller. "We couldn't afford it." Few customers now buy 50-Mbps services where such speeds are available, in large part because the cost is in the triple-digits range. Proponents might argue that the goal is 100 Mbps for not much more money than people now pay for 4 Mbps or 7 Mbps service, but it is hard to envision how even "free" opto-electronices could support such a value-price combination. In other words, even if all the active elements actually were provided for free, could service providers actually build ubiquitous networks offering 100 Mbps or faster speeds, and price in middle-double digits? So far, the answer appears to be negative. About 60 percent of the cost of building an FTTH network is construction work, ducts and cables, not to mention cabinets, power supplies and other network elements. Still, in some dense areas, it might be possible to do so, since the construction and cable might amount to about $1200 per home passed. Again, keep in mind we assume totally free opto-electronics. In suburban areas the business case is marginal, at best, since about $2400 might have to be spent on construction and passive elements. Since the FCC goal only calls for connecting 100 million homes out of possibly 113 million, we can safely assume the cost of most rural networks of such capacity need not be considered. Of course, opto-electronics are not "free." But the point is that construction costs, were nothing else an issue, would still be a tough proposition, if the goal is very high speed access at prices most consumers would pay. American consumers will be paying more for broadband in the future, if for no other reason than that most mobile plans will require it, and those charges will be paid for on a "per-device" basis, not "per home." What seems improbable is that U.S. consumers are willing to increase overall broadband spending by an order of magnitude (10 times) to have 100 Mbps or faster service on a fixed basis. One can of course argue from history. Prices for lower-speed broadband services have declined over time, while the prices for the faster tiers have remained stable, but speeds have increased. The issue is how much price compression is possible. "In order to earn a return for investors, you have to be conscious of what consumers will pay. I don't know this is something consumers will pay for," Piper Jaffray analyst Christopher Larsen says. "It's a nice goal, but it's a little on the over ambitious side." Having a "stretch goal" is fine. Firm mandates, though, might run smack up against stubborn consumer willingness to pay and the fixed costs of building access infrastructure. VoIP penetration among U.S. businesses will increase rapidly over the next few years, reaching 79 percent by 2013, compared to 42 percent at the end of 2009, In-Stat says. This penetration reflects companies having a VoIP solution deployed in at least one location. In-Stat now finds that 41 percenrt of businesses with VoIP capability have no legacy TDM voice services, compared to 34 percent in 2008. About 42 percent of US businesses now have a VoIP solution in at least one location, In-Stat says. Hosted IP services such as IP Centrex also saw steady growth in 2009, while IP PBX growth was significantly stunted. While there are indications that the economy and high-tech investments are in slow recovery, IP equipment investments are likely to lag other areas, In-Stat says. VoIP adopters now have a good understanding of the cost savings associated with VoIP, and have oriented their limited budgets to optimizing efficiency and savings by replacing legacy TDM voice solutions, says David Lemelin, In-Stat analyst. Hosted IP Centrex has now surpassed broadband IP telephony as the leading revenue-generating, carrier-based business VoIP solution. In other words, business IP telephony now generates more revenue than other forms of business VoIP, In-Stat says. Still, 33 percent of businesses that have already deployed VoIP solutions report that recent economic conditions have caused them to slow additional deployment plans, compared to 30 percent reporting no change in plans. Broadband IP Telephony revenues continue to grow and will more than double by 2013, compared to 2008, driven by single-user applications among increasingly distributed and mobile workforces. Mobile data from smart devices will increase 10,000 percent by 2015, says Rajeev Suri, Nokia Siemens Networks CEO. And that's only part of the problem. The other issue is signaling overhead, apart from bearer traffic, that can tie up radio ports even when not much actual bandwidth is being consumed. That's one reason "adding capacity" does not solve all congestion issues in a mobile network. Congestion also can occur when signaling load is heavy. But bandwidth growth is an issue. Nokia Siemens Networks predicts that by 2015, annual mobile data traffic will reach 23 exabytes , equivalent to 6.3 billion people each downloading a digital book every day. Pure capacity is just one issue, however, intermittent connectivity and shifting locations plus signaling overhead are problems as well. As an example, having predicted the current surge in smarter mobile devices, Nokia Siemens Networks is the only vendor to have built into its networks an industry standard, already common in smart phones, that allows it to reduce unprofitable, congestion-causing signaling by three times while increasing smart device battery life, says Suri. The Skype Mobile client that will run on Verizon Wireless smartphones will run in the background on Research in Motion BlackBerry Storm, Storm 2, Curve 8330, Curve 8530, 8830 World Edition and the Tour 9630 devices. 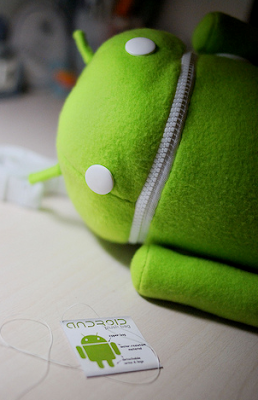 It will also be available on the Motorola Droid, the HTC Droid Eris and the Motorola Devour. Subscribers will be able to make and receive unlimited and free Skype-to-Skype calls, and use Skype Out to make international calls to any phone at Skype's standard rates. 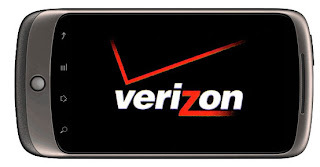 So, the client will be especially useful for users with family abroad, according to Verizon Wireless. The calls will be carried over Verizon Wireless' voice network, and won't impact overall network quality, according to John Stratton, executive vice president and chief marketing officer at Verizon Wireless. That's probably the most-significant element of the plan. The Skype client could well help Verizon Wireless set itself apart from other U.S. mobile operators in terms of the dependability of audio quality. What "you'll see from Verizon, you won't see from anyone else," Stratton says. So there's your plot twist: Skype, designed to circumvent the old TDM voice network, now will use the TDM network to ensure voice quality on global calls to non-Skype telephone numbers. It's also a clever way to make better use of an existing asset to provide better user experience and differentiation in the market. In-Stat says SIP trunking, wireless and cloud-based computing are key changes in the unified communications business. But notice that respondents to a recent In-Stat survey say "collaboration" means "file sharing," not necessarily visual communications, telepresence or videoconferencing, as some might mean in the phrase "unified communications and collaboration." File sharing while in conference is seen as the application of most importance, not necessarily "seeing" other participants. In an important test of market demand, Canadian cable and telco multi-channel video providers are beginning to test market demand for more-flexible ways of selling cable channels. It isn't a full-blown switch to à la carte television, but will provide an important test of how well consumers like the ability to buy service in ways that might offer more targeted buying of channels they actually watch. Bell Canada now is offering a more-granular approach to buying multi-channel TV service. The service is being introduced in Bell Canada's Quebec service territory. The company says it will allow television customers to subscribe to individual channels, rather than the standard bundles that have been the mainstay of the multi-channel video business. Customers must first take a basic $25 package that includes standard channels such as Global, CTV, CityTV and CBC, and can then choose 15 channels for $15, 20 for $19 or 30 for $22. Bell is also offering individual channels for $2 each. "TV just got better for subscribers in Quebec, who now have the ultimate control and flexibility to get the channels they want," says Kevin Crull, Bell's president of residential services. Vidéotron already offers similar options, with basic service and 15 extra channels starting at $37 a month. Quebec has been one of the most competitive regions for telecommunications, with some of the lowest prices in the country, says the Canadian Broadcasting Corporation. Bell Canada apparently is not offering à la carte channels in Ontario, its other main television territory. Rogers, Bell's chief TV rival in Ontario, does offer individual channels on top of basic service at a typical cost of $2.79 each. Basic television services in Ontario from both Bell and Rogers start at around $35 and $30, respectively. So far, no U.S. provider has taken this route, but consumer demand will be watched closely for any signs the practice might be useful in the U.S. market as a way of providing service differentiation. Despite the growing amount of video available online, less than eight percent of U.S. broadband households, or about 5.5 million households, are considering canceling their multi-channel subscription services in favor of online video, according to Parks Associates. You may interpret that as good or bad news. The 2008 study found 11 percent of U.S. broadband households were considering canceling pay-TV services, and in an earlier 2009 survey, the number was 10 percent. The upside is that people might be finding it is harder than they thought to replace their current multi-channel video experience with alternative sources. Where there clearly seems to be more danger is in the area of churn. As many as 2.75 million of those households report they are considering a switch to a new service provider. That's the bigger danger, as consumers do not have to change behavior or lose any of the value when switching providers, but might save some money, or even increase perceived value for equivalent levels of spending. Online viewing is correlated with switching propensity, though. Parks found that households saying they are likely to switch or cancel their services watch 10 hours of online video each week, much higher than typical video consumers. They express strong interest in having online access to pay-TV channels as well. Such video-intensive customers also use offline video, such as DVD rentals, at higher rates than typical consumers do. Their median number of DVD rentals from the last six months is 18, compared to two rentals among other households. “Just 0.5 percent of broadband households appear to have cancelled their video subscriptions, according to John Barrett, director, research, Parks Associates. In fact, the profile of a "switcher" is someone who does not watch much TV. That makes sense. Though conventional wisdom is that "heavy" users are more likely to "cut the cord," in reality it is light users who are most prone to cancel their service, simply because the value-for-price equation is not so high. The GSM Association has adopted the "One Voice Initiative" as a way of delivering voice and messaging services for fourth-generation Long-Term Evolution (LTE) services. One Voice is based on IP Multimedia Subsystems and will provide a standard for voice and text messaging interconnection and international roaming on 4G networks, just as carriers now support 2G and 3G interworking. The GSMA’s Voice over LTE (VoLTE) initiative has the backing of more than 40 organizations from across the mobile ecosystem. Mobile operators supporting the initiative include 3 Group, AT&T, Bell Canada, China Mobile, Deutsche Telekom/T-Mobile, KDDI, mobilkom austria, MTS, NTT DoCoMo, Orange, SKT, SoftBank, Telecom Italia, Telecom New Zealand, Telefónica, Telenor, TeliaSonera, Verizon Wireless and Vodafone. Handset manufacturers and equipment vendors supporting the initiative include Acme Packet, Alcatel-Lucent, Aylus, Camiant, Cisco, Colibra, Communigate, Comneon, Ericsson, Fujitsu, Genband, Huawei, LG, Motorola, Movial, Mu, NEC, Nokia, Nokia Siemens Networks, Qualcomm, RADVISION, Samsung, Sony Ericsson and Tekelec. A new consortium already including 24 global mobile service providers, Sony, Samsung and LG are creating a new applications community, allowing developers to create apps working across networks serving three billion people. The new "Wholesale Applications Community" is a recognition of the role application stores now playing in fostering new applications and a great deal of the value of mobile broadband services. América Móvil, AT&T, Bharti Airtel, China Mobile, China Unicom, Deutsche Telekom, KT, Mobilkom Austria Group, MTN Group, NTT DoCoMo, Orange, Orascom Telecom, Softbank Mobile, Telecom Italia, Telefónica, Telenor Group, Telia Sonera, SingTel, SK Telecom, Sprint, Verizon Wireless, VimpelCom, Vodafone and Wind, as well as Samsung, LG and Sony Ericsson are founding members. Whether directly or indirectly, by design or by default, the new development community will compete with the Apple App Store as well as other app stores being created by Google and other device and application providers. The real carrot for developers, if the initiative can iron out any number of important details, is access to a potential audience of three billion mobile users. In practice, discrete markets will be smaller, limited by natural language communities, for example. But it is an ambitious initiative showing access providers are not interested in forfeiting their roles in the application ecosystem to other handset or application providers. After just two months, video over Internet calls account for more than 40 percent of fring's global call traffic, on devices capable of doing so, and more than 60 percent of its call traffic throughout Western Europe, where fring mobile video call usage doubles the leading PC-based video call services, fring says. Fring launched the world’s first interoperable service between mobile video users of fring and Skype last November, enabling users to conduct video calls to other fring users as well as with Skype users using aWi-Fi or 3G mobile Iternet connection. The majority of fring's mobile video calls are international. 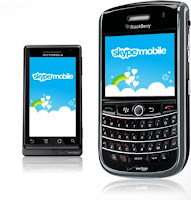 Keep in mind that fring only works on devices running the Symbian or Apple mobile operating systems, including all Symbian 9.2 and 9.3 Nokia devices including the E71N95, N95 8G, N83, N97, 5800 and other Nokia touch-screen S60 devices and the iPhone and iPod touch. Proponents have argued that new IP-based communications would offer many innovative features not possible on older telephone networks. Voxbone, for example, now provides "global phone numbers" that are not tied to a specific country, and now has added text message support for those numbers, a feature that will be welcomed by users who see the advantages of a single, global telephone number. The move marks something of a potential breakthrough in "iNum" usage, as wireless subscribers from a growing number of prominent carriers, including Vodafone, T-Mobile, Orange, Virgin, and Boost Mobile, now are able to send text messages to iNum "phone" numbers. The service is already available in the United Kingdom, France and the United States, at prices ranging from 10 to 20 pence per message in the United Kingdom., for example. Voxbone will be adding reachability from more wireless carriers in more countries in the coming weeks. The new feature highlights another interesting angle: Landline phones have not traditionally been able to receive text messages. It isn't entirely clear how many people would find this interesting or useful. But it could be done. All iNum numbers have a prefix of +883, the International Telecommunications Union-assigned international code for the Internet, just as +44 is the code for the U.K. and +1 refers to the U.S.
As a wholesaler of direct-inward-dial numbers and IP transport provider, Voxbone receives calls, and now SMS messages, to numbers with this code and delivers them over IP to its carrier customers, for delivery to their end users. A funny thing has happened to VoIP, unified communications and videoconferencing. Originally seen by many developers as products most important to business and enterprise users, each has gotten most traction in the consumer space. Analysts at Gartner, for example, now say that consumer markets, and not the unified communications and collaboraion vendors, are driving innovation in the UCC space. Some 79 percent of respondents to a recent survey by Global IP Solutions said that they currently use a consumer application such as Skype as their primary videoconferencing application, for example. Skype points out that more than 30 percent of its global user base uses the service for business, while “an average of 34 percent of Skype-to-Skype calls now including video,” says Josh Silverman, Skype CEO. Skype also is used for international traffic and many businesses are becoming more open to using hosted solutions for business applications. An argument might also be made that much of the value of UC or UCC actually is captured by use of relatively simple tools such as Skype, or Google Voice or any number of other rather easy to understand consumer applications. Though it is far too early to say anything definitive about the potential success of Google Buzz, it probably is worth noting that Buzz users created nine million posts and comments in two days, buildiing on the strength of Gmail’s existing installed base. I don't kow whether you consider that traction, or sampling. It does illustate the value of a huge installed base, huge name recognition and a cloud-based service, though. The day Google decided to go "live," it got noticed and used by enough people to create a substantial number of entries. Also, one thing about "perpetual beta," which Google tends to rely on when launching new products, is that it does actually work. One of the "gotchas" Google Buzz rather quickly uncovered was a potential privacy issue. Under some circumstances, it might be possible for Buzz users to discover "follower" email addresses. Google coders jumped on the problem and apparently have it fixed. And Google already is talking about launching an independent Buzz site that is not linked to Gmail accounts, to further address the issue. That's a fairly interesting illustration of how powerful social mechanisms are, though. Within three days, a potential privacy issues was uncovered and fixed, and enough users seem to indicate they want a version not linked to Gmail that Google already is considering that option. Social media has become a bigger issue for a growing number of companies for several reasons. It represents a shift of where audiences are, so outbound messaging has to move that way as well. But that's the lesser factor. Social media means consumers are able to easily voice their thoughts about products and services. And most observers would agree that angry and unhappy consumers are more likely to complain than happy users are to praise. As much as retailers hate "bad press," they now also must contend with "negative buzz" from unhappy customers and users. All of that implies brands have to become more "proactive" about their reputations online. Still, even that is superficial in some sense. One thing product development teams have learned over the years is that bulletin boards, online comments and now blog posts and tweets can be sources of information useful for product design, upgrades and repairs. At a fundamental level, companies can launch products that have some element of unresolved "beta" elements and then modify products as feedback appears. “Naturally occurring conversations will be utilized in product innovation and design, and companies will create incentives for people's attention and engagement while repurposing and analyzing content and engagement in new ways that will deliver valuable input," says Ravit Lichtenberg, founder and chief strategist, Ustrategy.com. “The voice of the consumer is only going to get louder and stronger,” said Ms. Williamson. “It will shape what social media is and what it will become. Not too long ago, a company might have made major changes to its products or services based on a few focus groups, some financial planning and a degree of gut instinct," says Debra Williamson, eMarketer senior analyst. "Social media has already changed all that." Given that Google's "Buzz" application, which, depending on who one talks to is either a "Twitter killer" or a "Facebook killer," has only been live for several days, we probably should give our chattering a rest. Nobody can say whether connecting Buzz to Gmail will result in a viable and large social networking community being created, much less how it might affect Twitter, Facebook or other communities. There's no question social networking has gone mainstream, and equally no question that "Google" is not one of the names that comes to mind when "social networking" is talked about. I don't know whether Buzz can change that. In business, incumbency is a powerful thing. There's a reason iTunes owns the music space. You can point to ease of use, elegance or any number of other attributes that have lead to iPod dominance in the music player business, creation of a better way to buy and use music. One can point to similar advantages for Google in search, Amazon in e-commerce or eBay in auctions. Once such leadership has been established, it is tough to dislodge. So far, Buzz appears only to be "follower" on the technology front. It has some features of Twitter and some of Facebook, with the potential upside of being able to attract the Gmail audience. 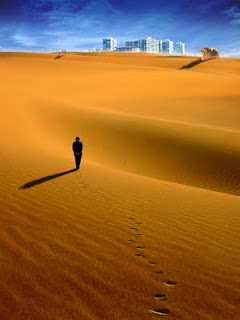 I don't know whether it is reasonable to expect people to abandon Facebook or Twitter for Buzz. Facebook has surpassed 400 million active members. I'd say that is far past the point where switching behavior is "costless." As we like to say, Facebook has something of a moat around it. The ability to easily add third party apps or play games are examples. Twitter arguably could be a different matter, as that app has gained less mindshare, or users, overall. Perhaps a "fast follower" approach could work there. 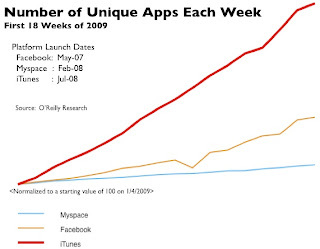 Still, Buzz likely has most chance of succeeding if its users can uncover some new class of value that neither Facebook nor Twitter yet has done. Right now, that might be hard to discern. But it's only been several days. We might be looking at years before any pattern emerges. Right now, Buzz does not have the feel of an innovation that creates an entirely-new category of experience. That could change. How it might change is the bigger question. I'm using the app, but only casually. For me, that's not unusual, though. I use all my social networks quite casually.